What exactly is a hashtag or what are hashtags in the sense used today in social media. Hashtags are the new 411 on finding what you want. 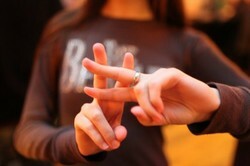 Twitter is the culprit single handedly bringing hashtags to the forefront of the human language. It's twitter who now has everyone tossing the term hashtag around. The hashtag popularity was organically created by twitter as a way to categorize tweets or messages if you will. The function of the # placed before a word or phrase is to mark as keywords or topics If you were to click on a word or phrase hashtagged you would see all other tweets in that category. They are used so tweets may be more easily found in a twitter search. The next time you hear your local news anchor mention hashtag something or other, what they mean is search this term and you will find a host of information on that topic. Twitter is becoming hot and interesting once more getting a second chance of popularity in the social media. This fresh new buzz word has stimulated both the use and interest in twitter once more. In fact this new buzz has people thinking about twitter who originally rejected it's use. How can people, who weren't originally interested in the use of twitter over look the constant use of the word hashtag. You've got to admit it raises a entirely new conversation about twitter. Twitter has changed it's look and feel. So if your someone who's been scratching your head about all this twitter nonsense and asking, how, why, you may want to take a second look at twitter. It certainly has stood the test of time and evolved into a new creature, hashtag having a great deal to do with it. Using hashtags is really quite simple you do however want to ask yourself if you need to utilize the hashtag. If you place a hashtag in a tweet before the word or phrase of your choice, on a public account, any other twitter searching for that topic, subject or keyword on twitter can find your tweet. You can place a hashtag any place in a tweet. Cool right? You should not over use this tool as you may be considered a spammer, no one wants that. The general rule is no more than 3 hashtags per tweet and only use # when relevant to the tweet subject content. The next time you hear the term hashtag you will know exactly what it means and therefore this phrase will no longer jump out at you. Enjoy both your knowing and your peace! Learn how to use twitter feed to launch a simple auto twitter feed campaign. Twitter is a very useful tool for those of us who want to get our message out. Sending out the average manual tweet can be time consuming. The amazing Humagaia, a funny technology wiz and very entertaining writing, walks you though a simple step by step guide to setting up your very own twitter feed and freeing up you valuable time. Find out how following this wonderful author on both a readers delight and a inquiring mind feast. Twitterfeed lets you use any RSS feed to update Twitter Facebook LinkedIn Hellotxt StatusNet. Powerful tool to enhance reputation & promote blogs, articles, products, news, tweets. nickupton, Actually you can use hashtags both ways as hashtags have become so commonly used. Some people spam hashtags and that's a no no but if related to the content it's all good. Thanks for that. Any hints on what to use as hashtags? Something general or very niche? 2uesday, Great glad you're now in the know. Thanks for visiting. SharynsSlant, Yes do be mindful of how many you use, don't want to get a tap from twitter, such a useful tool. Also you will want to note anytime you twitter a link directly from Wizzley they have their own (wizzley) hashtag added. Which is good for all of us. Angel, Good glad to hear it, I hear the question a lot in real life and thought hmmm maybe a good question to address online, glad to answer it. Thank you. I had that on my list of questions. This article answered it.